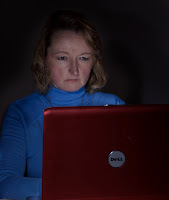 Today's Friday Fun is brought to you by Karen Victoria Smith, the author of Dark Dealings. 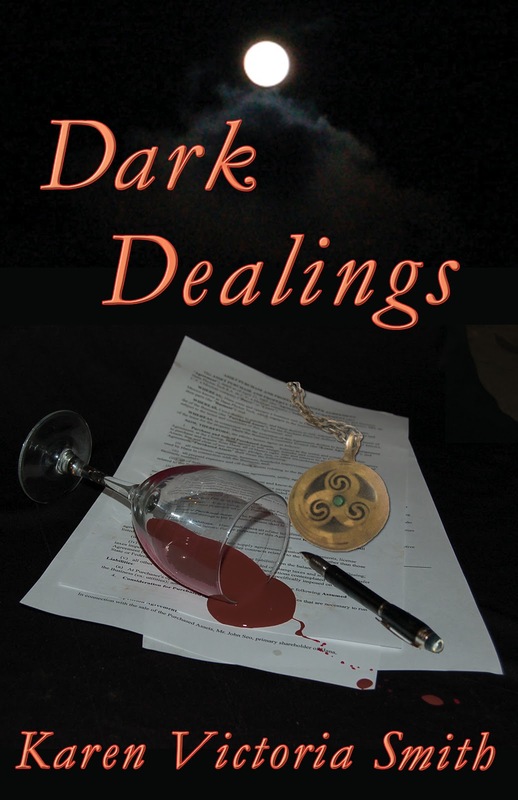 There is still time to enter the giveaway for a copy of Dark Dealings at The Indie Exchange. Karen grew up with an Irish grandmother who tried to teach her the old ways and watched horror movies with her in the dark. From there she moved on the wider world of college and career. After 25 years in financial services working on Wall Street and for major national banks, she discovered her passion in writing. In Dark Dealings, she has found a way to bring the old ways together with the modern world. First, I am a complete and total chocoholic, especially dark chocolate. Oh and did I mention, strawberries dipped in dark chocolate and graham crackers dipped in dark chocolate and chocolate syrup over ice cream ---guess the flavor. Well you get the picture. Second, despite being a chocoholic, I lost sixty pounds and have kept it off. Third, my other addiction is coffee, more specifically Starbucks. At one point I was up to ten cups a day. I’m doing much better now---only three and I have no trouble sleeping, although I do twitch occasionally. Fourth, I ran my first 5Ks this year and plan to do more. Eventually, I want to do a half-marathon. I‘ll start training again once the Devil takes his weather back. Fifth and final, I enjoy math. I start my day with Suduko. Guess that makes me a really fun person, huh. At thirteen, Micaela was found wandering an Irish pasture after a mid-air explosion. Now, a successful investment banker, she discovers Wall Street has real fangs and claws. When international power brokers, creatures hiding in plain sight, threaten her and those she loves, will this heiress to a Druid legacy deny her power and let loved ones die again? A global thriller of money, monsters and murder.